When it comes to winter, I am learning to love it. 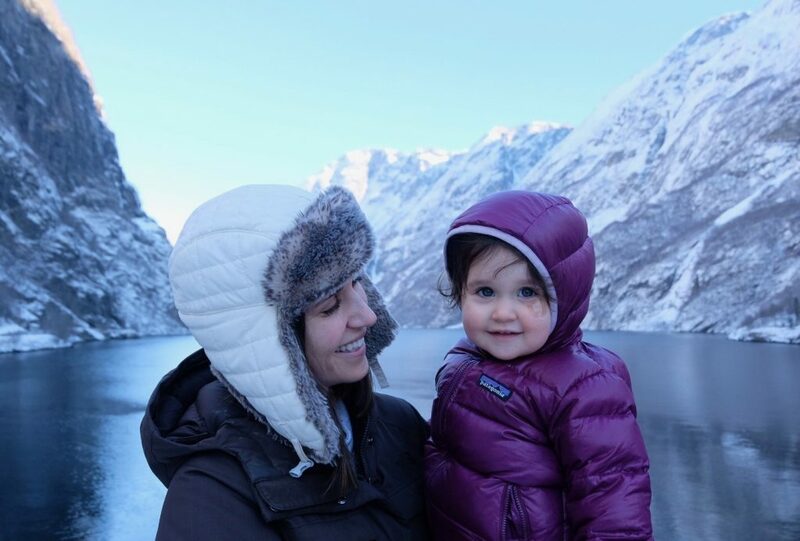 I am passionate about teaching my kids to enjoy all types of weather—and that includes frigid cold and snow. As with anything, if I want my kids to embrace the winter I have to embrace it myself. Therefore, my winter capsule wardrobe reflects this. Last year I wore my Bean Boots everywhere and they are great–but I wanted something more polished. Alas, victory! I tested out several varieties from Sorel and Blondo before locating these boots from Ariat. Which, by the way my husband informed me is a boot for the rodeo. But I’m okay with that. When it comes to winter clothing and gear, I shop almost exclusively from outdoors stores. It’s important to me that I am able to be outside with my kids in all types of weather, and that requires warm and durable clothing. Fortunately many of the outdoor gear companies are also now making cute stuff. Therefore I can get the best of both worlds–cute, durable, and warm gear. 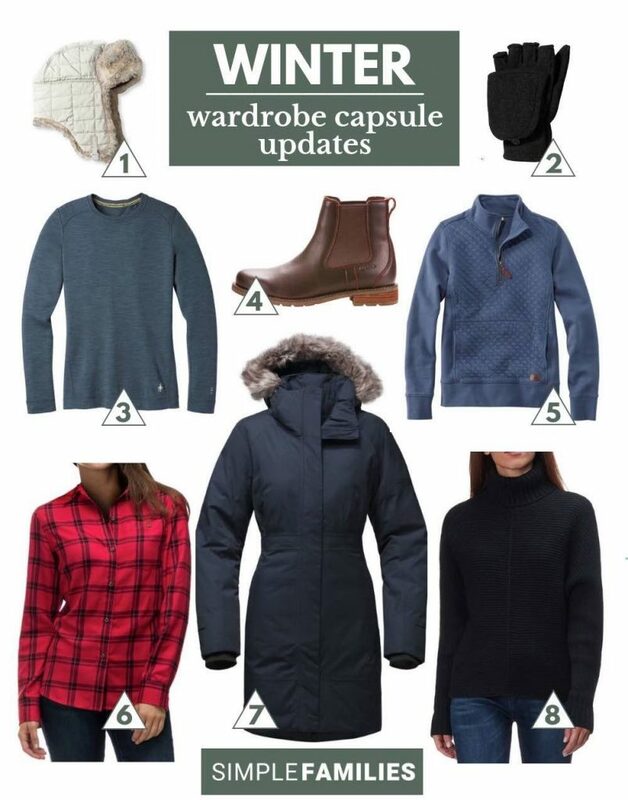 Without further ado, here are the boots plus seven pieces that I am leaning on most heavily this winter–from head to toe (I didn’t include pants, but I just wear my regular jeans with these baselayers). In case you missed it, I posted my kids recent capsule wardrobe updates here. I love this hat because it’s warm and it doesn’t really mess up my hair. The lining is silky and prevents static. It’s also quilted and when clipped at the chin it keeps out every ounce of the wind. It’s super cute too–I’m wearing it in the above photo. Each.and.every.parent needs a pair of gloves that fold down like this. If you have young children, you will find yourself pulling off your gloves to help them adjust their clothing or retrieve a snack. It’s far easier (and warmer) to just pull back the top part of the glove and have use of your fingertips. My husband and I both swear by this style of glove. Here’s an alternative style. I could literally live in my Smartwool tops everyday. This is a baselayer, but I shamelessly wear it as a standalone shirt too. It’s really soft, light, warm, and breathable. It gets worn 3-4 times a week by me. These are the boots! They are comfortable, cute, and durable. You can wear them with tights and a dress or head out on an unplanned outdoor adventure. Never again will you have to change your plans because “you don’t have the right shoes.” These will pretty much do it all. At the time of writing, the boots are on sale here. But you can also find them in other sizes here and here. I had my eye on this sweatshirt ALL year last year but didn’t buy it. Finally I tried it on in the store last week and confirmed that it was in fact made for me. It’s very soft and I loved the blue color, but the white is great too. I sized down on this one. A good flannel shirt was on my wish list, and this one is here to stay. I love that simple detail in the back that makes it a bit more feminine–and the pattern is classic. I have owned this jacket for nine years. I will probably own it for at least nine more. I have survived the coldest days of my life in this jacket–New Year’s Day in Beijing and a February Fjord tour in Norway. Not only is it completely waterproof, but it’s warm as $hit. This is my favorite addition to my winter clothing this year. This sweater is a classic style with some great simple detail. The best part is that it’s washable–which is a win in my book when it comes to sweaters! What are your favorite pieces of winter gear? What is your favorite everyday purse/bag? For 2 years I carried the full size Fawn Design bag and it started to wear down this fall. So I repurchased the smaller sized Fawn, which I carry every day now. However, I often find myself wishing I would have stuff with the full size–but the small will do the job for the most part. Denaye, thank you for sharing! Just curious if you have another winter boot for deep snow? I like to go outdoors and build a snowman or go sled riding with my kids. I’d like to buy a warm tall snow boot that will last. I wear my Bean Boots in the snow! They are really versatile too–just can’t really dress them up. They aren’t all that tall but when I am out in the snow I am usually wearing snow pants too–so I never end up cold or wet. Thank you for sharing. What are your favorite socks to wear with the Ariat boots? Thank you for the ideas — the boots are super cute! Question: what socks do you wear to keep your feet from freezing? I too have been striving to get out daily with my kids, but I haven’t had luck with keeping my feet cozy. I know I’ve inherited poor-ish circulation in my feet, but even with multiple layers, my feet tend to freeze long before the rest of me :/ Thanks ahead of time! Are you still wearing pieces from your earlier videos? I forgot to mention in my original post that the Ariat brand brought back a bit of nostalgia to my college days because my roommate had several pairs of them (not sure how she afforded them at the time, but she did). Would love some ideas for a capsule for my husband! 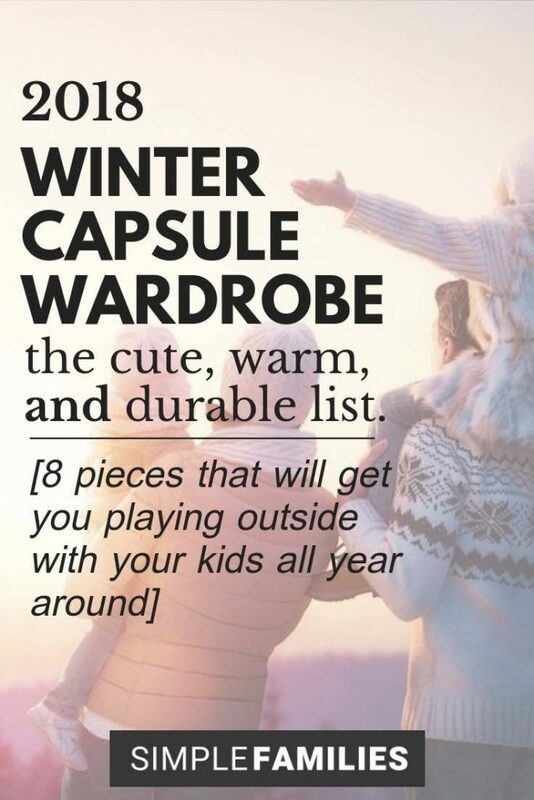 I have implemented your capsule wardrobe ideas for myself and my children. This has been a huge stress relief and time saver. I am not sure how to carry this idea over into my husbands wardrobe. I would love your suggestions! Can you write about winter capsules for your kids? I want to keep my kids warm in Michigan without breaking the bank! Thank you for your posts! Your NYC post convinced me. I’m trying your boots! I hope I enjoy them as much as you do!